Becoming a self employed carpenter will offer you many great advantages compared to working for someone else, the main advantage being working for yourself without anybody to answer to. You will be in control of everything. If you are just out of school and know that becoming a self employed carpenter is definitely the career for you then perhaps your best option would be to try and get an apprenticeship with an already experienced carpenter who will train you up to meet City and Guilds standards and will also help you aim for your NVQ Level 2 award. If you aren’t just out of school but have decided that you definitely want to start your training to become a self employed carpenter, the first thing you should do is to find a City and Guilds approved training centre that offers a carpentry course. City and Guilds training centres are located all over the UK so finding one close to where you live shouldn’t really be a problem. The training centres will offer you full time and part time courses which will enable you to spread out your course over months rather than weeks, part time courses are sometimes better for those who have to stay in employment and train at the same time. Full time courses can last anywhere between three and eight weeks and you have the option to train Mondays to Fridays and also at weekends if that suits you better. You will be trained up by experienced instructors who will guide you every step of the way and will offer you their advice and support throughout your training. They will make even the complex of carpentry jobs seem manageable. You will be trained up to meet with the latest industry required standards and by the time your course has ended you would have gained all the practical and technical skills you will ever need to know to become a qualified carpenter. Complete novices start these courses and end up as competent carpenters in their new chosen trade, giving you the opportunity to progress further with your new career. Your training centre will have dedicated areas so you can train on the various aspects of carpentry including joinery, bench work and kitchen fittings. By the end of your course you will be able to do many things including: cutting basic joints, hanging doors, fit a door frame, fit skirting boards, fitting a lock, fitting dado rails, putting up a stud wall, fixing floor joists, laying flooring, just to mention a few. Your instructors will teach you how to handle the many wood machines that comes with the carpentry trade and you will also learn all the health and safety regulations that there is to know when working as a carpenter and the hazards that come with the job. If you successfully complete your course you will be awarded your City and Guilds carpentry certificate, which will prove to your prospective clients that you are a qualified carpenter and have all the necessary skills and knowledge to carry out a good job. Once you have gained your City and Guilds certificate you are now ready to enter the work place as a self employed carpenter, where all your technical and practical skills can now be put to use as you carry out your carpentry work. If you would like to improve your working prospects even more, then you should consider trying to gain your NVQ Level 2 award which is a nationally recognised award and this will greatly improve your chances of obtaining work. Having an NVQ will reassure prospective clients that you are a fully qualified carpenter and they are more likely to offer you the work rather than a carpenter without an NVQ. 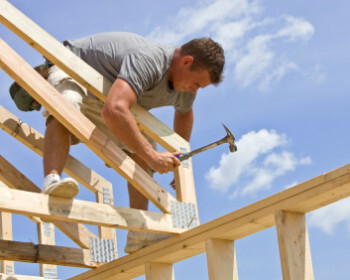 You have got to be working as a carpenter before you can be assessed for an NVQ, when you are ready and feel you want to try to get your NVQ just get in touch with them and they will arrange to meet you at work. Throughout your assessments your advisor will test your knowledge on carpentry and will ask you different questions which will enable them to see that you really do know your stuff and will watch you working to see if you can cope with all the daily pressures and hazards you may encounter in your workplace. Then gradually as you start to build up a suitable portfolio of work your advisor will sign off on different units, as you carry out different tasks, marking you with how they think you’ve done. If your advisor is happy with what they have seen you will be awarded your NVQ, if however you fail to meet the required standard this time your advisor will offer advice and explain how you can do better next time. During your assessments you should build up a photographic portfolio of your work which will be of great use to you when it comes to showing prospective clients. So that’s it, you now know all that’s involved when it comes to becoming a self employed carpenter, all that’s left to say now is the very best of luck with your chosen career in carpentry.